Picture the archetypal 1930s blues man, photographed with a studio backdrop, jaunty hat, knowing leer…. What else do you see? A guy with not too much money, that’s what! That’s why the guitar in his lap was usually something like a Gibson L model – small, shapely, and sunburst. The iconic Robert Johnson L-1 was discontinued in 1937, when a Gibson L-0 sold for $25 and an L-00 cost $30. The 2007 equivalent sums are $350 to $420. 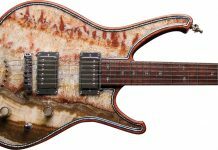 So, where does that put your typical not-so-heavy-in-the-pocket blues player today? Morgan Monroe provides a couple of answers in the form of their Creekside MV-01 and Blues 32, two guitars with different but equally pleasing voices. The Blues 32 is finished in glossy tobacco sunburst, the top shading reminiscent of the later L-00s with a narrower dark outside edge, allowing for more of the tight sitka spruce grain to show. 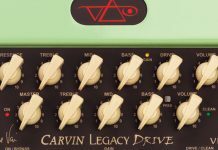 A bit more deluxe than its MV-01 sib, the appointments are still tastefully simple; Grover Sta-Tite tuners, three-layer white/black/white plastic top binding, inlaid maple logo banner, and bone nut and saddle. 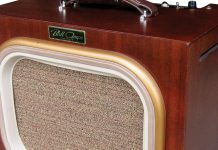 Sonically, the Blues 32 is very reminiscent of its L-model inspiration, with a blues-approved sound strong in the mids, but with a full, textured bass and some treble snap. 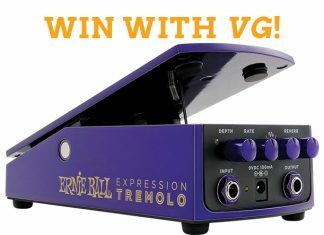 This tight-sounding box, up to 43/8” deep, sounds equally good with plectrum or bare fingers: the steely, immediate response just invites a player to dig into classic blues licks and bass patterns and returns the favor by never sounding compressed, even under a heavy right hand. A slim V-neck with diamond volute, attached with an old-school dovetail joint, with 111/16” nut width and 14” radius, is perfectly comfortable. With a 5/16” nut string spacing and 251/4” scale, the Blues 32 is easy to play, with good volume and balance. The Morgan Monroe duo share features other than the bone nuts and saddles: each fingerboard is graced with well-dressed, buzz-free frets. Generally stellar construction values are visible throughout both guitars, though the MV-01 deviates from the Blues 32 with a slightly bigger body width, narrower body depth, subtle satin-sunburst finish on the top, stainless steel frets, and a tasteful maple binding. The triple-bound neck has a 243/4” scale length, maple dot inlays, and a contemporary D profile. The greatest difference is in the sound: considerably more body resonance with an airy presence. Our archetypal blues man would do well with either Morgan Monroe; both offer excellent sound with fine playability, good intonation, solid-but-lightweight construction, and visual appeal. 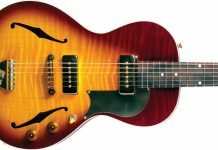 Although the Blues 32 comes out ahead in the 1930s bluesman appeal category for looks and quick-response sound, the MV-01 belies its lower price with its wooden appointments and more complex tonal palate. The Loar LH-200 strikes immediately as a contender in the looks department “Vintage Vibe” division. The ivory-black-ivory binding, pearl logo and fret markers, abalone fern pattern (craftily overlaid, not inlaid, in an age-old technique utilizing microthin shell) and snakehead-with-vintage-style tuning machines has enough flash to complement any upright archetypal blues man’s better suits and dapper foot/headwear. The Loar flat-top boasts clean construction, good fretwork, modern rounded neck profile, and a classic sunburst finish over a bearclaw spruce top. 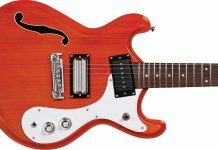 The LH-200’s long (201/4”) body and 251/2” scale length sound strong and play comfortably with its 111/16” width bone nut (which was cut very, very well). Though the saddle is plastic, intonation out of the box was quite good and all frequencies spoke with authority when played finger-style. With a thick Dunlop pick, the LH-200 summoned up a powerful growl in the bass, strong mids, and a good cut in the high-end frequencies. The LH-200 also featured a long, resonant decay, and fine slide-guitar sustain. We think any Bluesman would be tempted by this slightly pricier Korean-made guitar for all the right reasons; it plays well, sounds great, and leaves a striking visual impression with the generous shellwork on the headstock. 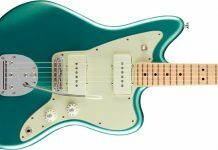 If vintage Kalamazoo and Gibson guitars have an advantage in solid wood and ’30s mojo, these newfangled contenders have more dependable intonation and neck adjustability. 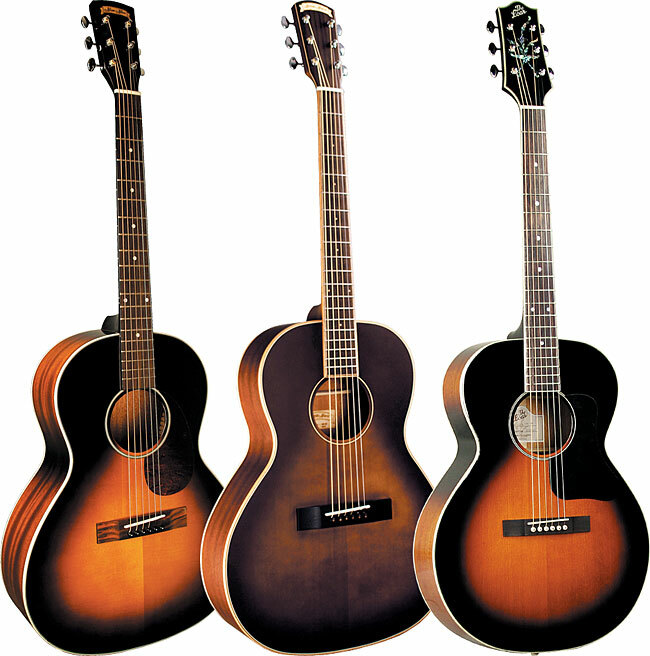 All three are good guitars, and represent exceptional values. Contact: Morgan Monroe, 1922 West Banta, Indianapolis, Indiana 46217; phone (800) 475-7686; www.morganmonroe.com. Contact: The Music Link, PO Box 162, Brisbane, CA 94005; phone (415) 570-0985; www.theloar.com. This article originally appeared in VG July 2008 issue. All copyrights are by the author and Vintage Guitar magazine. Unauthorized replication or use is strictly prohibited.